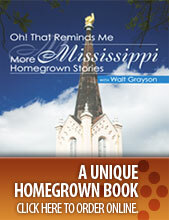 a publication centered on life in Mississippi. Click Here for All Archives. Lucky for us, Bryant’s cookbook shares many of the desserts she grew up eating—and many more kitchen-tested, company-pleasing (and easy to make) dishes and treats. Recipes are organized according to suitability for all the major holidays and seasonal special events. Among them you’ll find ideas for an Easter dinner, ladies’ spring luncheon, Mexican fiesta, Hawaiian pool party, seafood buffet and an authentic German Oktoberfest. Many of the recipes are pictured in color, and the book’s lively page layouts are characteristic of other offerings from Great American Publishers, of Brandon, a member of Central Electric Power Association. 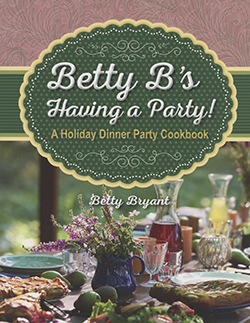 “Betty B’s” is available in softcover from booksellers and at GreatAmericanPublishers.com. Price is $18.95. For details, call 888-854-5954. © 2019 All Rights Reserved. TodayInMississippi.com. Site designed by Marketing Alliance, Inc.